'Oxton Lofts' is an exclusive and luxurious development of 9 stunning apartments commissioned by Peal Ventures Ltd to transform this ageing building into something quite magnificent. Apartment 68b, is a lovely 3bedroom first floor apartment beautifully appointed. Exquisi refurbished to an exemplary standard 64-68 Balls Road will become symbolic to the future of Oxton and the local village elegance. It's distinctive exterior appearance coupled with the graceful architecture is just the showcase to what is to come with the imaginative and unique interior design. 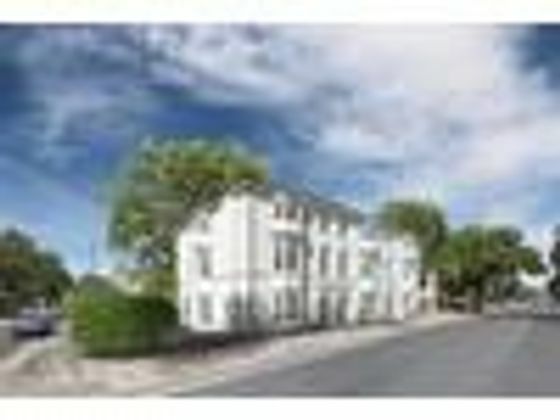 Peal Ventures Ltd in conjunction with Barrington Caddick Estate Agents are proud and excited to present this boutique development of striking 2 and 3 bedroom apartments giving generously proportioned accommodation on either ground, first or second floors. Whether you are looking for a new home, pied-a-terre or investment property then 'Oxton Lofts' is a perfect example of a collection of unique apartments just a short stroll from the heart of Oxton Village. The leafy neighbourhood and desirable location have created a real sense of culture to Oxton. The stylish bars, local pubs and Michelin star restaurants are within a 2 minute walk. The cosmopolitan city of Liverpool is a 10 minute bus ride away enjoying the meteoritic rise in popularity since achieving city of culture status. Showcasing the high-specification of interior design, Peal Ventures Ltd have created this stunning development that offers something for all types of discerning purchasers, so as agents we suggest an early inspection of the show flat as we are expecting high demand and early sales. Enjoying a wealth of contemporary features throughout ensuring luxury living, the landscaped exterior is complimented with secure allocated parking. Property advert Ref 4161674 - Is a property advert for marketing purposes only, the information has been supplied by the owner, estate agent or property portal and The House Shop makes no warranty as to the accuracy or completeness of the information. Furthermore we have no control over the adverts content. This property advertisement does not constitute property particulars. Please contact the advertiser to obtain any information regarding The Energy Performance Certificate regarding homes in England and Wales or Home Report for residential property in Scotland.